Your home is an extension of your personality and interests. Much like the inside of your home, the outside can be customized to not only provide the function of security and privacy but a space where memories are made. 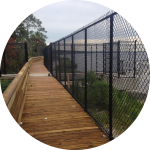 Offering a variety of Wood, Aluminum, Chain Link, and even alternative applications, there is not a residential fence we are not capable of installing with the highest quality and workmanship. We understand that your home add family are the most important investments you have. Let us help you protect and add value to one of your most valuable assets. Armstrong Fence’s Do It Yourself Retail Centers and Showrooms is a Do It Yourselfer’s dream. 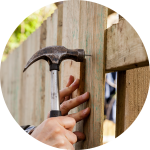 Whether you are a contractor or homeowner needing to repair or build a fence, our retail center has it all. We carry everything from ornamental fence to chain link to all the necessary hardware needed to complete your job, including wheels, posts, gates, hinges, and more. Our experienced and trained representatives are here onsite to help you customize your project and provide direction on you can successful install your new products. Not looking to install a fence yourself, that is ok. We welcome all of our customers to come down and check out local showrooms. Representatives are available to walk you through and show you all the different fencing options available to you. 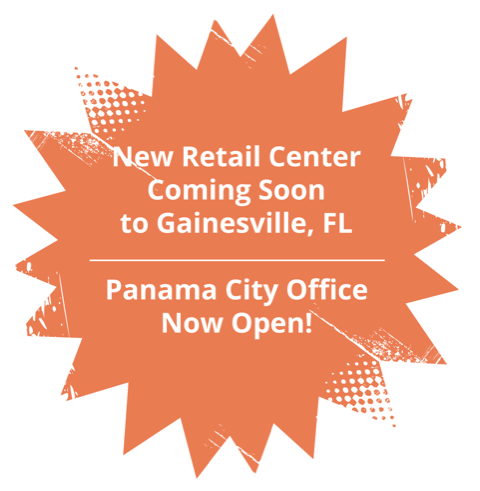 DO IT YOURSELF Retail Centers/Show Rooms are open Monday-Friday 9:00am-4:00pm at two of our locations. Known throughout the fence business and highly ranked in commercial fencing, Armstrong Fence is a no brainer on your next commercial fence. With over 30+ years in commercial fencing and high security perimeter fence, Armstrong Fence can assist you all your fencing needs. From planning, engineering, design and constructing fence, we can promise we will not disappoint. From perimeter fencing, warehouse fence, computer cages and more, Armstrong’s Industrial Sales team has the experience and knowledge to ensure your business or commercial property stays safe and secure. 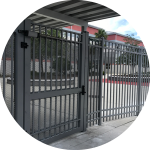 High Security and Industrial fences provide strength and durability to protect and defend some of our most valuable assets such military sites, ports, schools, and airports. Maintaining a secured perimeter is your fist line of deference again potential threats. 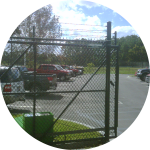 With over 30+ years of experience in High Security and Industrial fence, Armstrong can assist with any fence specifications and engineering needs you may have. We can help plan, engineer and construct fence, crash barriers and gate systems to fit all types of job requirements. Non-rated systems are also available for industry and commercial sites. 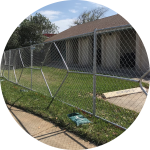 Temporary/ Rent-A-Fence must provide site security and safety. This is why after installation; our Fence team is available for any maintenance or site changes needed on your project. 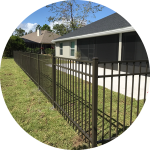 In addition to providing you with one of the highest quality rental panels available, Armstrong offers additional services to enhance the look and usage of your fence. Whether it is a specialized roll or slide gate, windscreen, stands and sandbags, Armstrong is a full service fence partner on any jobsite or special event. Having the ability to control who comes into your commercial property or residence is critically important for the security, safety and health of those who work or spend time on that property. At Armstrong Fence, we believe is creating safe environments by applying the latest technology in gate operators and access control.